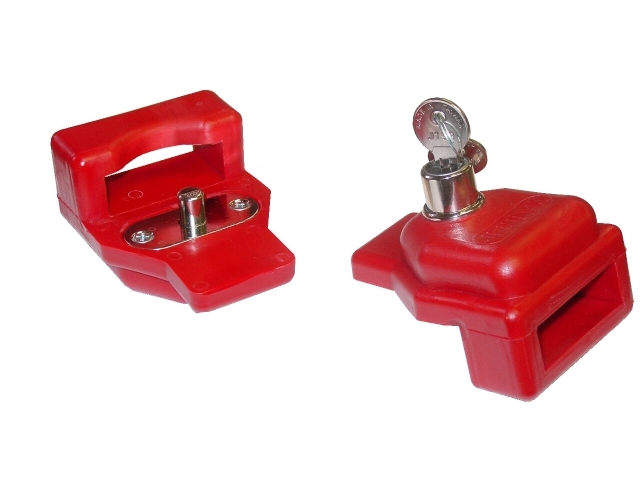 The Gladhand lock is used as a safety device which prevents accidental release of the trailer emergency brakes. The safety lock prevents unintentional movment of trailers during loading/unloading as well as while trailers are in service. Locks are available in high visability red. Stocked locks are keyed alike, individually keyed locks may require additional production time (typically 4-5 days). Individual keying is per order, codes are reused.